The New SageU is Here! 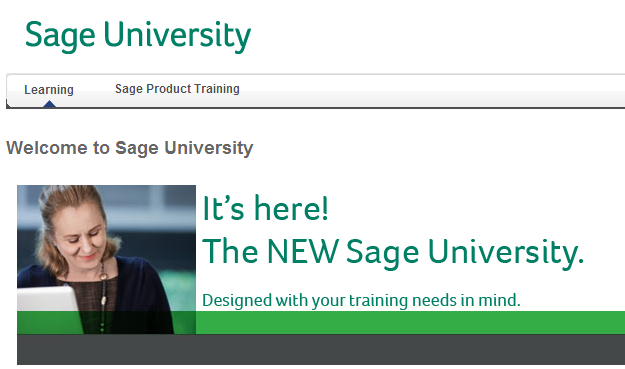 A much improved Sage University website is launched. The new enhancements and improvements make it much easier for Sage Software customers to sign up for various types of learning courses from Anytime Learning Online, instructor led webinar sessions, recorded videos to Classroom Hands-On Training at authorized training centers. Personalized home page based on product ownership, with links to your upcoming and in progress courses. It's easy to sign-up to create your new SageU profile and start learning.